District 21 – February 2012 – Lincoln Nebraska A.A.
Intergroup Liaison Report (Tom B): had 3 to 4 officers present, had ending total attendance of 19. Had 3 committees present. Dist 3 – Had a person there Mark, and they have $40.00 in the account. Dist 21/22 – they have $1,034.44. Looking at disbursements. Dist 29 – Ending balance. $296.68 rent is paid and need alt DCM. Treasurer’s report: Forward $3,819.78 had contributions $100.00 from seeking solutions $3,919.78. Central office: Looking for alt board members, mentioned that during the meeting they are trying to bring up intergroup attendance. They continue to work on a group list of contributions. They are trying to find out if Jim B is interested in being on the board, need to invite the Hotline chair to the next meeting. Pres: Jim K. Vice pres: Craig L. sec. Drew alt sec Gail, treasurer is Eric E.
Corrections committee: $169.30 balance, pay rent for the next 6 months. LCF: Chad returned to jail. CCCL: mens inhouse step study tuesday night continues to go well, Drivers no longer need orientation class, just an application and background check. New Business: Consult on joint workshop between corrections and treatment. Hotline: 90 calls, volunteer 17, general calls 73, people who did not answer 24. PICPC: working with independence center on what is and what is not AA. Will be Tuesday April 4, 2012. BLGH West. Website: review stats for site. Looking good. Special Events: Not present. Need chair for special events. Continue discussion on new comer orientation to be taken over by another district or intergroup. Update requested about the anniversary. Suggested that these notes be downloaded and inserted into the next minutes. Dan W was elected as our new Area 41 Literature Chair. I was able to attend the Area 41 January Assembly in Columbus. It was a very busy weekend but very productive. I was impressed of the fact that Dist 21 had the most representation at the assembly, and we even received cheers from the floor when I was able to proudly announce we had 7 eligible voters at the Literature Chair Election. 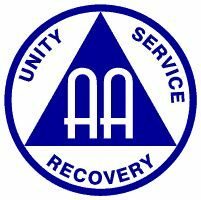 What a great start to the new term and I hope our representation is apparent of the willingness we are to be of service to our AA Groups and our community. Linda S, Alt DCM, also attended the Area Assembly and joined me at the Corrections Committee Meeting, as well as all the other festivities. Being the first committee meeting of the rotation, we discussed many things, however, there is a slide show used in New York that was updated to be Area 41 specific. Area would like the groups to review in case they had any concerns as this slide show would be used both inside and outside of AA (jails, probationnofficers, etc.). If you did not receive this email, please let me know. 1. Pocket of Enthusiasm (Jenni H.): Going well, we are ASL interrupter raised rates by $5.00 will still have ASL 2nd Wednesday of the month. Business meeting to move due to Jenni H. work schedule, to be voted on at the next business meeting. 2. Sufficient Substitute (Becky N.): Goes normal, nothing to report. 6. Spiritual Actions (Brian C.): Thing are good. 7. Seeking Solutions (Nancy S. ): Things are good, next Saturday is the anniversary breakfast, Feb 25, 2012 9:00AM breakfast, 10AM speaker. 11. Steps we Take: (Chris C.) Giving out scholarships being given, have done 2. Numbers are good and steady, slightly higher. 1. Goals for District 21 for 2012-2013 Term? Any feedback from groups? b. Any new ideas? – Ask groups. c. Group History info missing at the Area level – groups could write a group history for archives. Becky N. from Sufficient Substitute: Agreed that the picnic was a great idea. They would like to see a district budget, suggested a district inventory, for workshop ideas they suggested a 7th tradition workshop, and would like to see more group involvement in the workshop process. Jon R. Park shelter was $85.00 but was expensive. Try to book early, and make this a topic for the next meeting. Look at setting a date during the late spring summer months. Need to look at the the events calendar and the surrounding holidays. 1. The Area 41 website is www.area41.org. If you haven’t already, please take a look and make you’re your Group is listed to make sure it is showing as ACTIVE. There is one password protected section — the “Members Services” section. When you click on the menu item, a login form is displayed. The login and password may be given to any AA member. In the “Members Sevices” section, you will find the Area 41 agendas and newsletters. started to use their webpage. 2. All group updates need to be given to the Registrar by April 10th to be put in the Regional Directory. I would like us to be able to give our updates to Doug (Registrar) at the March Area 41 Assembly. 3. Area 41 will be selecting a host district for the 2013 Area Reunion in North Platte at the March meeting. 5. Any interested in joining the other Lancaster County Districts in a “Grapevine” Workshop?